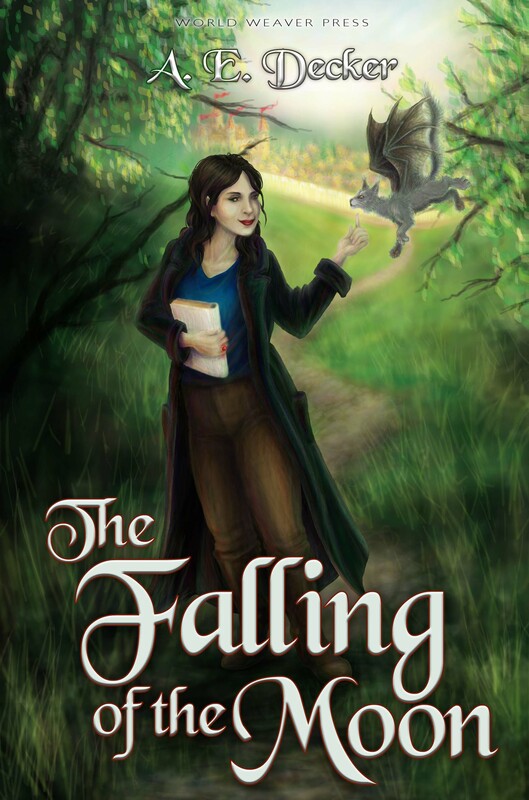 Albuquerque, NM (August 24, 2016) – World Weaver Press has announced The Meddlers of Moonshine, the upcoming fantasy novel by A. E. Decker, and second book in the Moonfall Mayhem series, will be released October 25, 2016. Something is rotten in the town of Widget, and Rags-n-Bones knows it’s all his fault. Ever since he snitched that avocado from Miss Ascot’s pack, things have been going wrong. Armed with a handful of memories he never realized he had, Rags-n-Bones searches for a way to put right whatever he did to Widget in the past. If only he knew what it was! Unfortunately, the only person who seems to have answers is a half-mad youth that only Rags can see. Widget is also suffering from a ghost infestation that has the townsfolk almost as spooked of outsiders as they are of actual spooks. While Rags-n-Bones seeks answers in the past, Ascot offers the town leaders her service as an exorcist, only to be handed an ultimatum: banish the ghosts or be banished herself! Who’s meddling with Widget? To catch the culprit, Ascot and Rags-n-Bones must match wits with a shifty sorcerer, a prissy ex-governess, and a troublingly attractive captain before the town consigns itself to the graveyard of history. 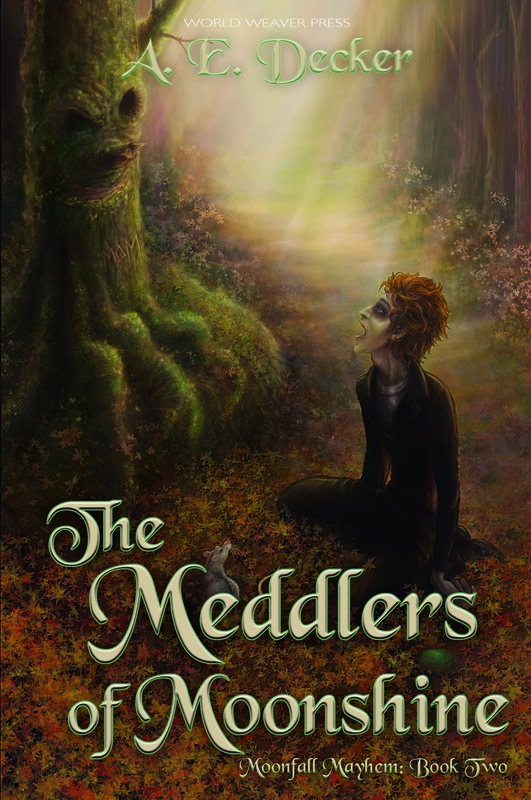 The Meddlers of Moonshine will be available in trade paperback and ebook via Amazon.com, Barnesandnoble.com, World Weaver Press, and other online retailers, and for wholesale through Ingram. A. E. Decker hails from Pennsylvania. A former doll-maker and ESL tutor, she earned a master’s degree in history, where she developed a love of turning old stories upside-down to see what fell out of them. This led in turn to the writing of her YA novel, The Falling of the Moon. A graduate of Odyssey 2011, her short fiction has appeared in such venues as Beneath Ceaseless Skies, Fireside Magazine, and in World Weaver Press’s own Specter Spectacular. Like all writers, she is owned by three cats. Come visit her, her cats, and her fur Daleks at wordsmeetworld.com.